Over the weekend, my sketch friend (Phil) and I headed out to the coast to sketch the boat that had run aground last summer. The boat has since moved further out from the beach and is now surrounded by the incoming tide. 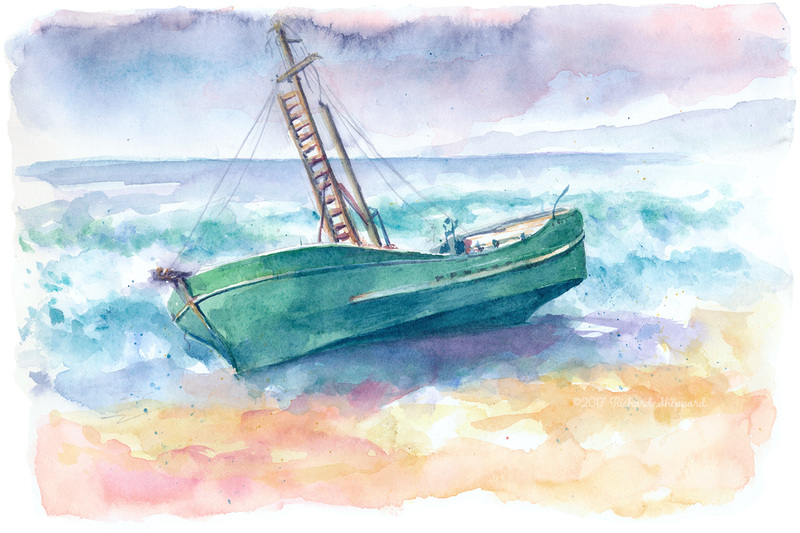 Click here to see my previous sketch and story of this boat. January 1, 2017 Richard SheppardComments are off for this post.